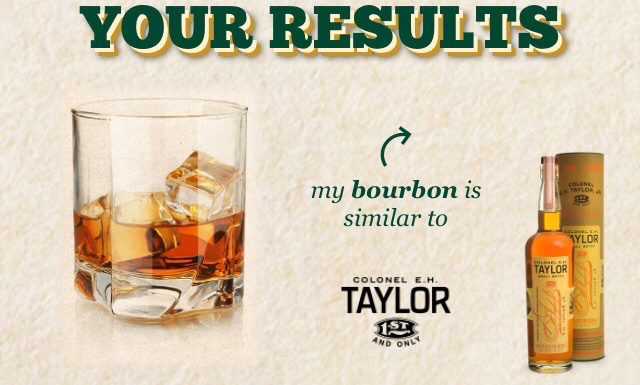 Faintly reminiscent of a time in my youth spent customizing and dressing a virtual Barbie on Mattels interactive website - the adult whisky-drinker in me is thrilled about Buffalo Trace’s new educational, interactive website “Craft Your Perfect Bourbon”. The only disappointing thing, I guess, is that a fully customized bottle won’t arrive in your mailbox, as the website is just for fun. Users can hop onto www.yourperfectbourbon.com and walk through the whisky-making process from customizing a mash bill, to choosing where (and how long) to age the whisky, and finally, deciding on the proof of your product. Each step along the way has tidbits of whisky information and is presented with a vibrant graphic. Upon reaching the end of your make-believe whisky adventure, Buffalo Trace will suggest one of their real whiskies based on the whisky your imagination has come up with. Kris Comstock, Buffalo Trace Bourbon Marketing Director, told us the site is meant to be fun first, educational second. While not comprehensive, the basics of bourbon making are there. This is a great tool for those who are looking for highlights and snapshots of whisky production. It’s entertaining, clear and concise with just enough nerdy info to whip out if you need to impress.